Their current publishing output may not be making folks happy. iOS releases like Final Fantasy VI may feel like some kind of bad joke. But, y'know what, the one arena where it feels like Square Enix can do no wrong is with their wonderful, wonderful toys. 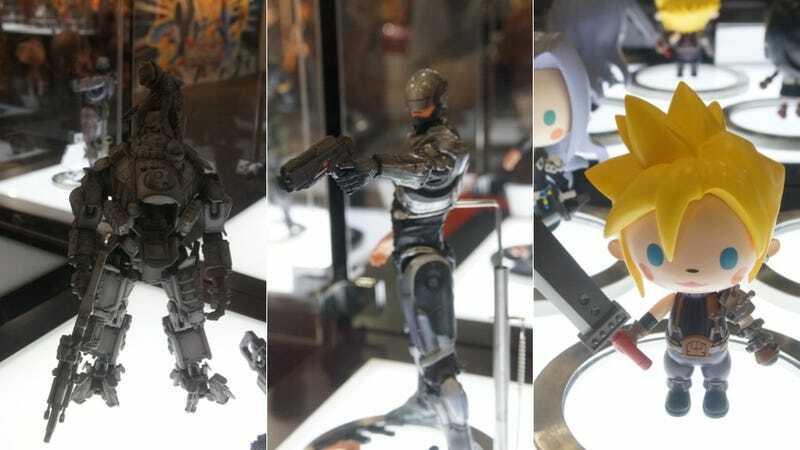 The collection below is the hottest stuff from Square Enix's booth—snapped by Kotaku's Chris Person—at this year's Toy Fair. You'll see two flavors of Robocop, chibi-style Cloud Strife and a pilot/Titan combo from Titanfall, along with Metal Gear Solid V-style snake and a bunch of DC Comics characters. Including Hawkman.